Newbie Driver Who Hit And Run Is Being Chased Down! - Muscle Cars Zone! Newbie Driver Who Hit And Run Is Being Chased Down! 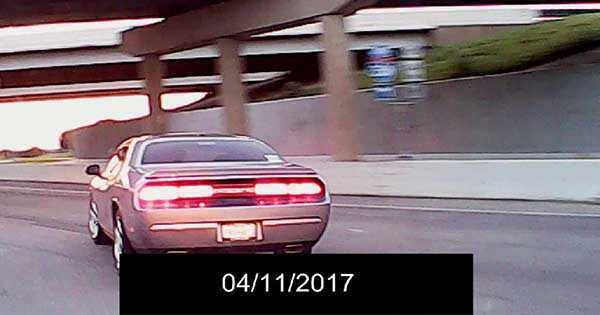 We have a very interesting footage of a Dodge Challenger driven by a newbie driver swiping a truck and deciding to immediately flee the scene. However, the guy with the truck was having none of that and decided to chase the driver down and confront her. The female driving the Challenger does not slow down and decides to proceed. She casually proceeds to her home as if she has done nothing wrong. It`s really impossible to tell the damage just from only the dash camera`s point of view. However, when the truck driver gets out of the vehicle we get a good look of how much that damage was. It`s a crease that`s long as the passenger door`s length and it goes also into the quarter panel. When the girl finally arrives at her home, she is confronted by the truck driver. Surprisingly, the newbie driver is not admitting her mistake and confesses her innocence and also says that the truck driver was at fault. She says that he sideswiped her instead. This is obviously untrue when you watch the entire video from the dash cam. This is a perfect illustration of how disillusioned some American youngsters has become. We also have to admire how tenacious the truck driver is as many people would have simply given up. However, when he saw the damage done on his truck, it is obvious he needs to see this through to the end in order to make sure the insurance covers his cost. Which are the worst cars to give a teenager? Find out here!